The Colombian capital is a vast, noisy, and intense city, but Bogota has a lot more to offer than initially meets the eye, and not just for solo travellers. There are loads of excellent family-friendly activities on offer in the city, and they are sure to keep even the most difficult children entertained. Here is Culture Trip’s list of the very best adventures that families will love. 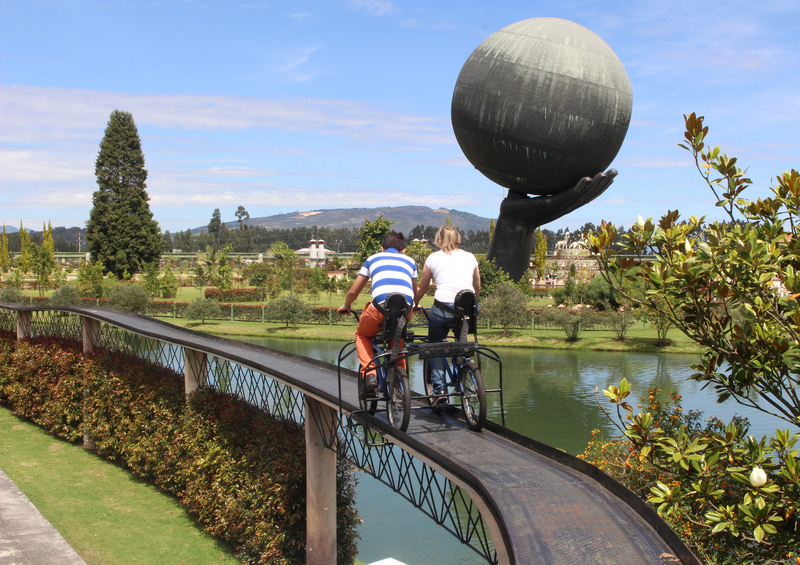 The ultimate in family fun in Bogota – every Sunday vast swathes of the city’s road network are closed to make way for cyclists, dog-walkers, joggers, and pedestrians. Street vendors set up along the pavement in the centre, selling everything from fresh juices and local snacks to toys and souvenirs. Rent some bikes or roller skates and take a family bike ride through Bogota, stopping along the way to sample traditional foods and do some shopping at local markets. A great way to enjoy the Sunday ciclovia is the Septima Challenge, a fun scavenger hunt modelled on The Amazing Race, run by local tour operators Bogota & Beyond. Participants break up into teams – so the whole family can enjoy it together – and receive a list of fun tasks to carry out on the ciclovia, such as dancing salsa with locals, finding a dog wearing a Colombian football kit, or getting involved in traditional street activities (or a combination of a few of them if the photo below is anything to go by). It’s a great way to have some interactive fun and to really get involved with locals and the Colombian culture. Kids will have fun and maybe even practice some Spanish at the same time! 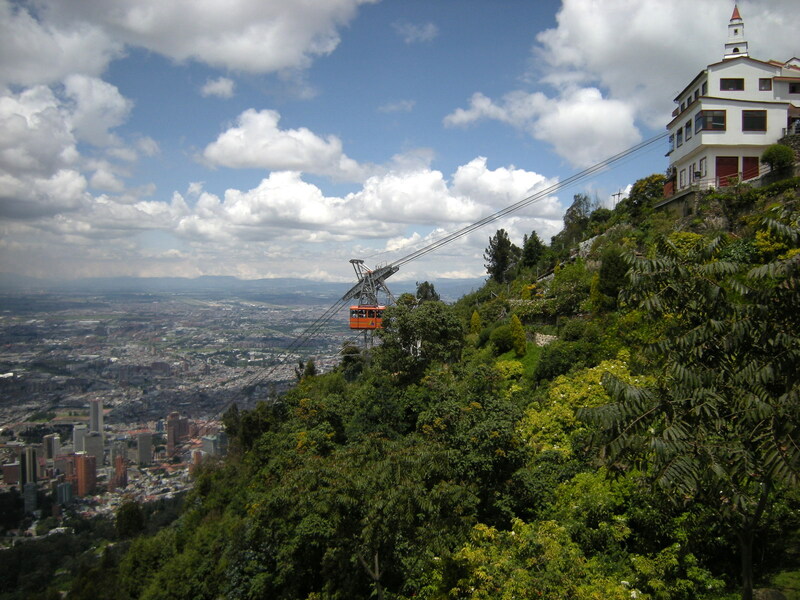 The spectacular panorama from Monserrate mountain overlooking the city makes it a must-do activity on any trip to Bogota, but the added bonus for families is how much the kids will enjoy riding up to the mountain peak in the hanging cable car or on the funicular railway. Up at the top, there are some colourful souvenir markets and restaurants, as well as the view mentioned above, but it’s the journey that will really appeal to the youngsters: try taking the cable car up and the railway down to get the best of both experiences. The perfect spot for the outdoors-loving family, Bogota’s largest park is an excellent place to escape to for a sunny day away from the traffic and noise of the centre. With almost 113 hectares of space, including running trails, cycle lanes, playgrounds, and several lakes, the park will keep children entertained for hours: pack a picnic, play some sports, enjoy the climbing frames and sandpits, then rent a rowing boat and head out onto the lake – great family fun! The ideal place for parents who want their kids to have fun, but perhaps learn something at the same time, the Maloka Museum is an interactive science and technology museum with nine different rooms focusing on different elements of science and tech. The Universe Room often proves popular with children, as guests can perform a variety of fun experiments, testing things such as the weight of a human on different planets in the Solar System. This huge family-oriented amusement park sits just to the north of Bogota and would make a fantastic family day trip from the city. With giant replicas of famous buildings such as the Taj Mahal, the Pyramids, and The Hanging Gardens of Babylon, as well as a large zoo and aviary, and rides, including go-karts and dodgems, Jaime Duque might not be the most cultural or traditional of day trips, but it’s bound to appeal to children and families. A miniature city specially built for kids in the Santa Fe shopping mall, Divercity is the perfect place to visit with children aged between three and 13. With over 50 different attractions – where kids can pretend that they are firefighters, police, doctors, and vets – as well as climbing walls, ball pits, and play areas, this adventure will keep kids entertained for hours. And safety isn’t a concern either: each child receives a bracelet to ‘check in’ at each attraction, and the parents can see where their kids are based on these check-ins.